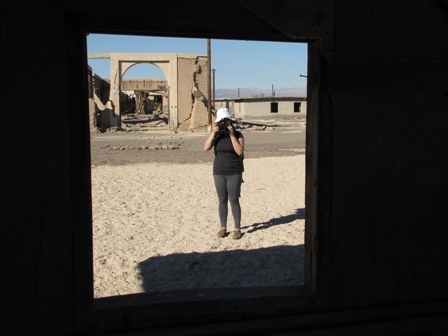 On Monday 29 October, I spent the day birding, exploring and photographing the Salton Sea and Imperial Valley with Jennifer and Crissy. Jennifer is a birder and Crissy is a photographer so we had a grand time doing both. 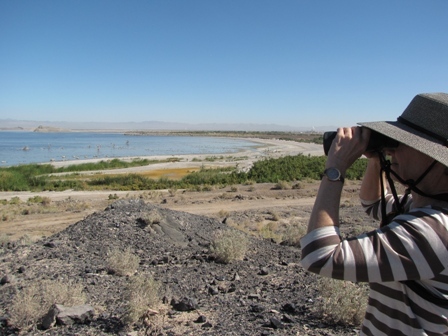 We recorded 73 species of birds for the day and visited a wide variety of locations. Our first destination at sunrise was the New River delta at the west end of Bowles Road. 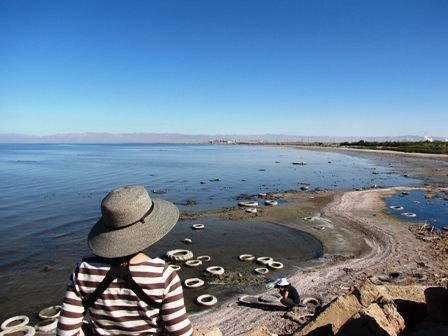 This has become one of the best shorebird locations on this end of the Salton Sea and typically there are mass quantities right at your feet. There was a Peregrine Falcon actively hunting when we arrived so most of the birds were bunched in tight groups and distant. The Pregrine and several Northern Harriers did a bit of arial combat a few times which was fun to see. 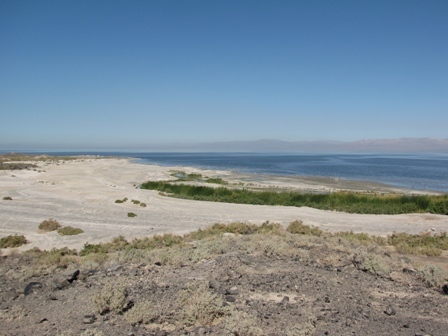 We then made our way over to Unit One of the Sonny Bono Salton Sea National Wildlife Refuge (SBSSNWR :-) on the north end of Vendel Road. 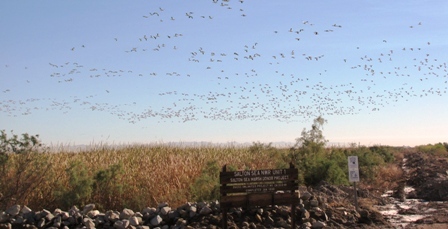 Several thousand white geese (a mix of Snow and Ross’s Geese) have arrived and MANY more will be arriving daily. There were also a few Sandhill Cranes flying over as we arrived. While we were at the view towers a crop duster arrived at the fields a few miles to the southwest and the geese filled the sky. 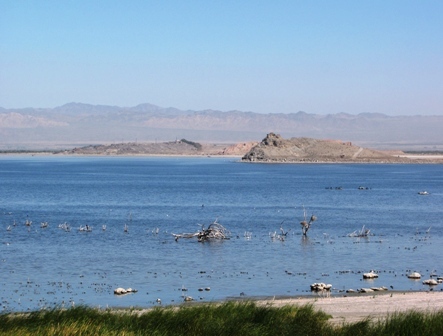 From there we headed for the Salton Sea and the seawall at Lack and Lindsey Roads. This spot has been in the Rare Bird Alerts consistantly for years. 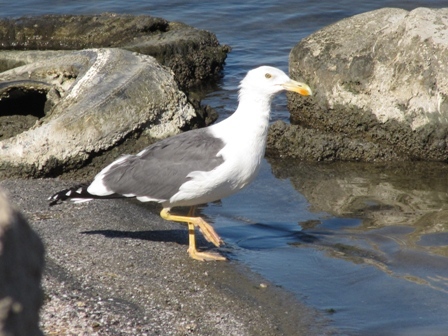 We were in luck as an adult YELLOW-FOOTED GULL was feeding on barnicles right at the base of the seawall. 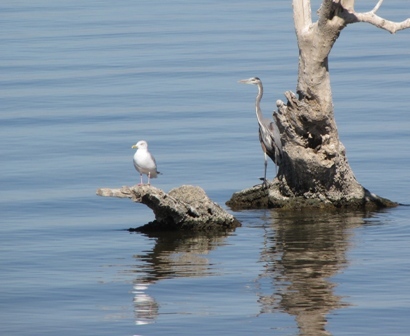 Yellow-footed Gull is the most sought after species of bird here at the Salton Sea because it occurs nowhere else in North America north of Mexico. 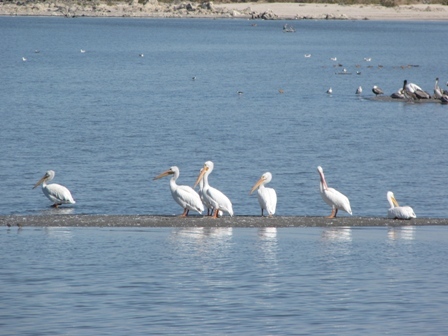 They are abundant in the late summer and early fall but by winter most have returned to their breeding grounds on the Gulf of California and there may only be one or two individuals on the Salton Sea in the winter. Yup, we were in for a day full of luck! 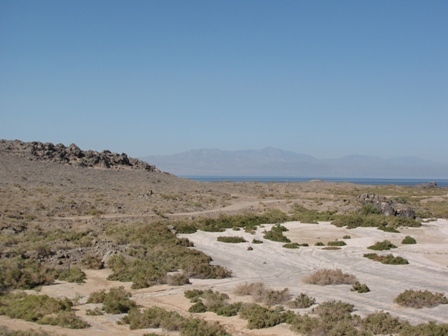 We then followed the seawall onto Obsidian Butte where we had grand views of the Salton Sea. 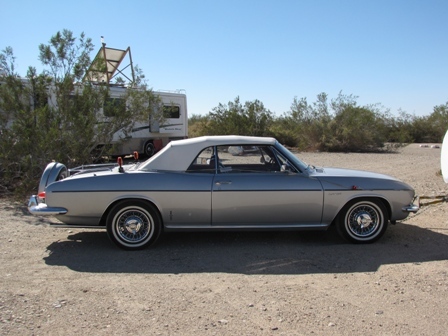 After a visit to the SBSSNWR visitor center at Gentry and Sinclair Roads we made our way to Niland for sandwiches at United Food Center which were great as always. 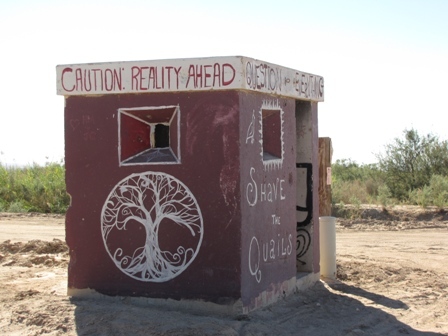 Our trip veered off into the sureal from there as we headed east for Slab City and Salvation Mountain. 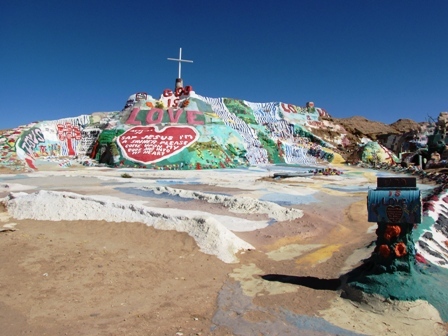 Do not recall the dates but I heard there is an event planned very soon for a large gathering to do some restoration work on Leonard Knight’s Salvation Mountain. 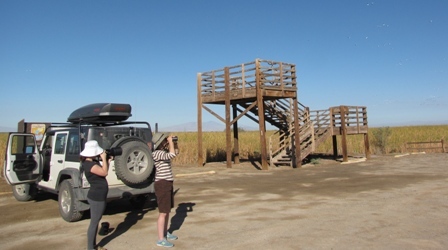 We then headed west and went through the Imperial Irrigation Dsitricts Managed Marsh where we had several Forster’s Tern and a pair of White-tailed Kite above us and a Sora and Clapper Rail called out from the marsh. 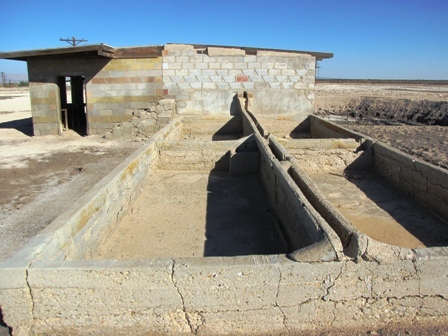 On westward we visited the old adobe dry ice plant at Davis and Pound Roads. They ran pipes down into the mudpots to collect C02. 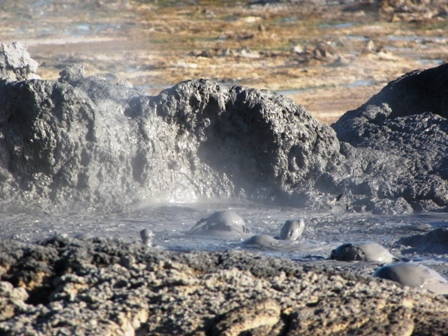 That is what gives the mudpots their “boil” not boiling water, and it is also what dry ice is made of! After they quite making ice it became a health spa and RV resort with bath houses for bathing in the mineral waters. 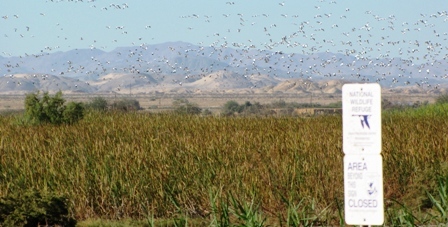 You can see the individual spas. Over twenty years ago a sinkhole opened up and swallowed half of the main bath house pump room. I have always wondered how deep that hole is!? 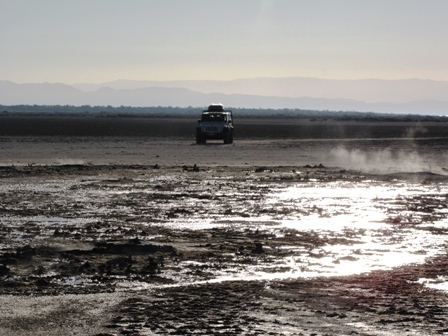 Westward again we ventured out onto the exposed floor of the Salton Sea to the newly exposed Morton Bay Mudpots. 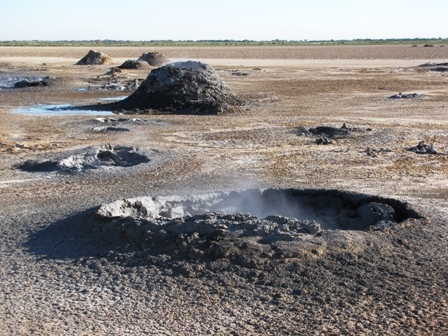 These bubbling, gurgling fumaroles and “gryphons” are VERY active to say the least and in a few spots are downright violent! 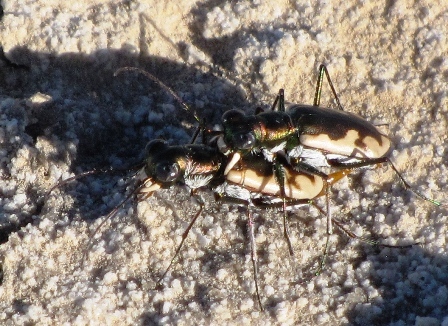 We had a MERLIN and several SAGE SPARROW in the saltbush saltflats and California Tiger Beetles racing, and mating across the saltflats. 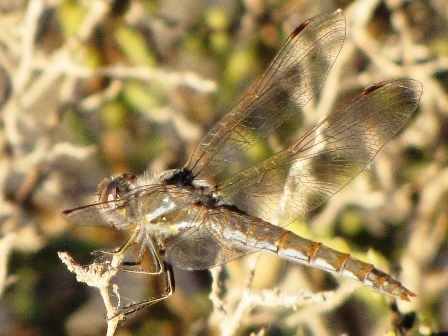 Variegated Meadowhawk dragonflies enjoy the area as well. 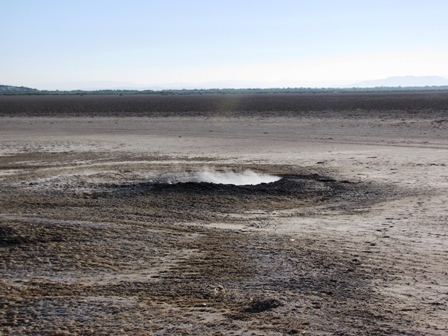 I have created a map and will be posting much more detailed information about the Morton Bay Mudpots this week. 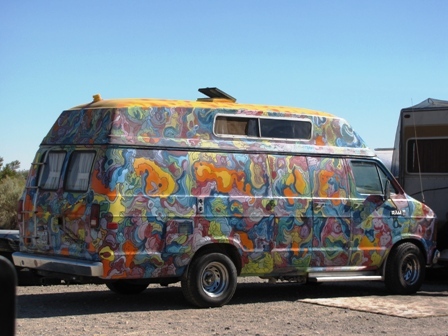 A high clearance vehicle….. at the very minimum…. is required to get out there and precautions are required as getting off the beaten path can be life threatening to you or your vehicle! I have several videos of the mudpots up on my YouTube channel. 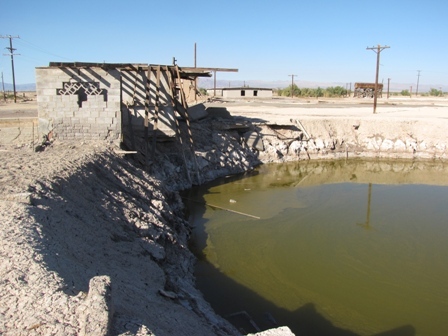 New Salton Sea Mudpots 07 and 08 were taken on this day and they may be viewed by clicking on THIS LINK. Although it did not seem to take so long our day was running out of daylight so we headed back south for Westmorland. 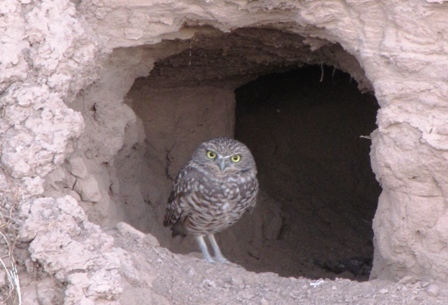 We made a little detour to visit a Burrowing Owl (large dark potato on two sticks) who was too dark to photograph in the morning and was now bathed in the soft light of sunset. Jennifer and I happily went over our bird list for the day while Crissy happily enjoyed getting photographs of the owl and the sunset. With Jennifer and Crissy. Westmorland, west end of Bowles Road, Sonny Bono Salton Sea NWR (SBSSNWR) Unit One on Vendel Road, Lack Road to Obsidian Butte, SBSSNWR HQ, Niland and United Food Center, Salvation Mountain and “The Range”, Imperial Irrigation District (IID) Managed Marsh, Adobe Dry Ice and Spa at Davis and Pound Roads, Morton Bay Mud Pots.